Is your veggie garden going crazy with all this rain? Do you have more lettuce, chard, or kale than you and your family can eat? Join SFC’s Spread the Harvest program and share your garden’s abundance with neighbors in need! Click here to find out how. Stephen Ritz, an educator from the South Bronx in New York recently said “children should not have to leave their community to have a better life.” SFC’s The Happy Kitchen/La Cocina Alegre™ believes this too—that’s why it offers cooking classes in communities in need around Austin by training moms, dads, grandparents and other active community members to Facilitate healthy cooking classes. The classes are offered where it is most convenient for the families being served—be it a school, clinic, church or grocery store. 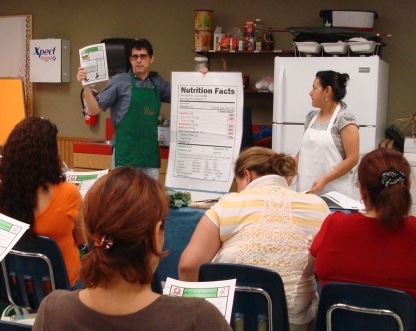 In fact, The Happy Kitchen/La Cocina Alegre™ has doubled the number of classes it offered since last year. 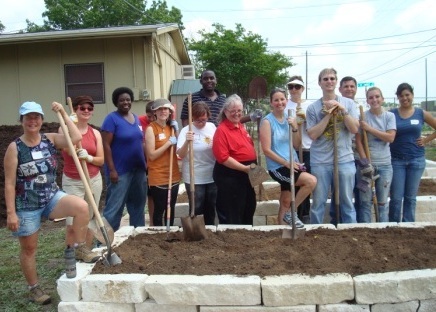 In April 2010, the Program completed two Facilitator Trainings—one in English and one in Spanish—boosting the number of trained Facilitators to over 50 men and women. So far this program year, there have been fifteen 6-week classes, with another 10 series scheduled to begin before the end of June. The result? 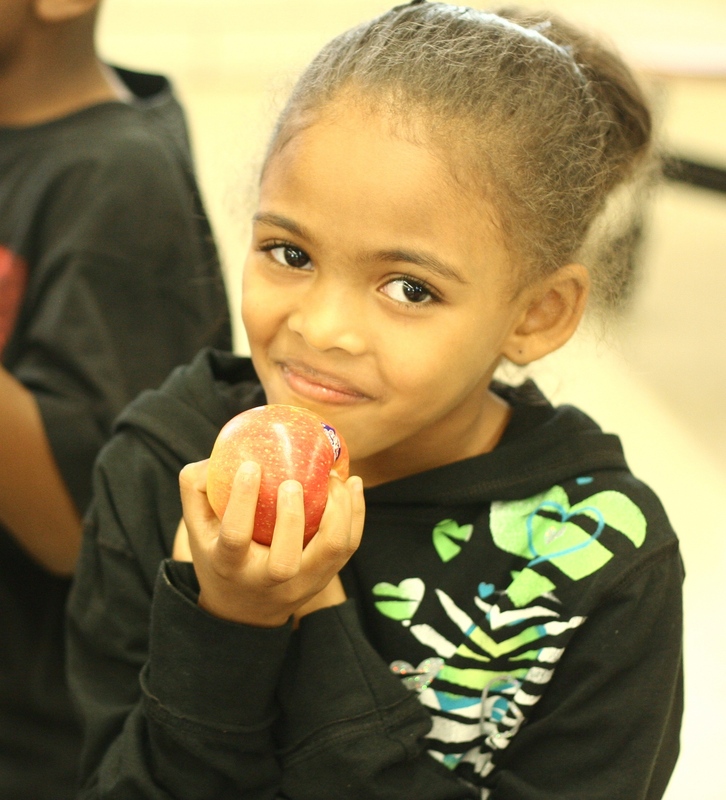 Over 400 families learning to prepare and cook meals with fresh, healthy ingredients to ensure their kids have a future as bright as the rainbow chard in their take-home ingredient bags. Facilitators Elio and Carmen lead a class at HEB with take home bags ready to go! SFC Farmers' Market East debuts March 20th! Located at the YMCA East, 5315 Ed Bluestein, Hwy 183 at 51st St., this market runs year-round on Tuesdays, 10am-1pm. Can you help provide food access to Central Texans in need this winter? Thank you to everyone who wrote and called to protect farmers' markets from new regulations! Our colleagues at Farm and Ranch Freedom Alliance have received an email from an official at the Department of State Health Services stating that the agency is withdrawing the proposed rule to classify farmers' markets as food establishments. SFC has followed some of the key elements of this year’s Farm Bill that will help advance sustainability in our food system and support great access to healthy food for all. For more on the 2012 Farm Bill, including detailed information on specific Farm Bill components and guidance on how you can get involved, click here!